Using a box grater, finely grate mushrooms and zucchini into a large bowl. Mince onion and parsley, and add to bowl. Add salt and pepper, and gently mix in turkey until mixture is uniform. Form into 4 patties. Lightly coat a large nonstick pan with cooking spray and heat over medium flame. 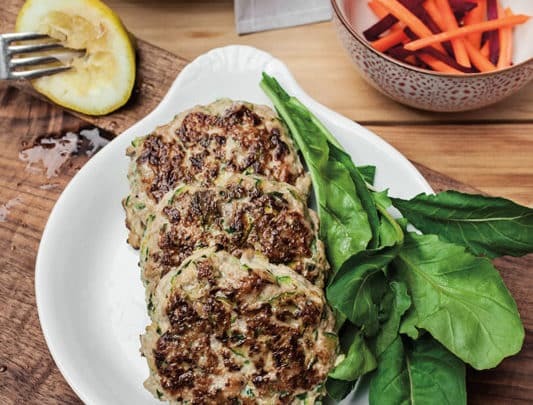 When hot, add turkey patties and cook for 5–6 minutes on each side or until internal temperature reaches 160 degrees.